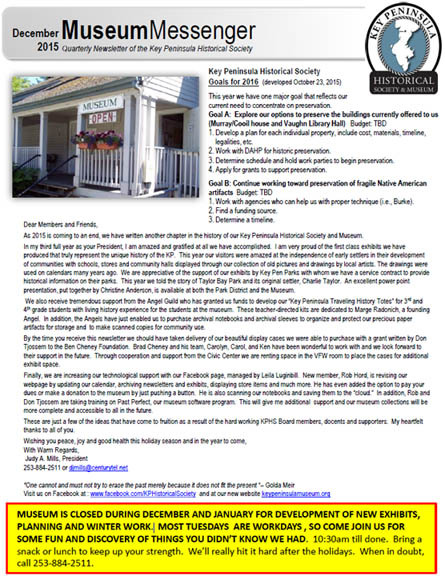 Thanks to the hard work of Cathy Williams and Judy Mills, we have the latest issue of the Key Peninsula Historical Society’s Museum Messenger newsletter for our members and guests. It is available here in .pdf format (opens in a new window). If you would like to catch up on past newsletters, please visit our newsletter archives. ← New Display Cases Have Arrived!